This article is part one of our series on how to successfully resurface content in today’s always-on cycle of news and information. Part two covers how to build out a day-to-day resurfacing operation. We are in the era of the content avalanche. People, publishers, and brands share over 30 billion pieces of content on Facebook every month. They send over 6,000 tweets on Twitter and 852 photos on Instagram every second. Brands need to post constantly just to stay visible in news feeds. This rapid-fire, endless pace of content creation can feel impossible — which is why savvy publishers don’t rely exclusively on new content to drive conversations. Of the more than 60 Facebook posts The Atlantic publishes each day, 10–20 of them come from the magazine’s rich archive of content. This is one part of a strategy that has helped The Atlantic grow its online traffic to over 30 million unique monthly visitors today. At Atlantic 57, we call this practice smart resurfacing: lifting valuable content back up, regardless of its original date stamp. Content creators of all kinds can use smart resurfacing to stay current and provide value to audiences, no matter the depth of their archives or the size of their team. Of course, not just any old article will do. The Atlantic is deeply thoughtful about identifying the right articles to resurface. 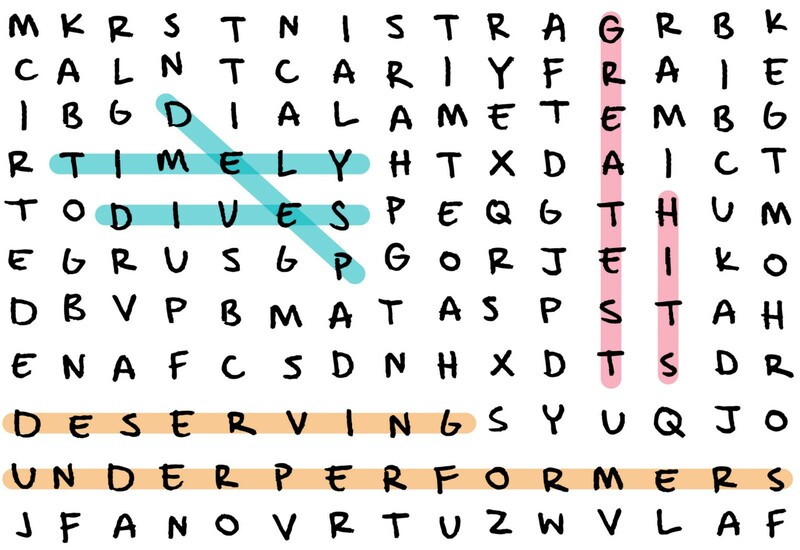 They tend to fall into three types: timely deep dives, greatest hits, and deserving underperformers. These articles are likely lurking in your archives, too. In this post, we help you uncover them and give them new life. 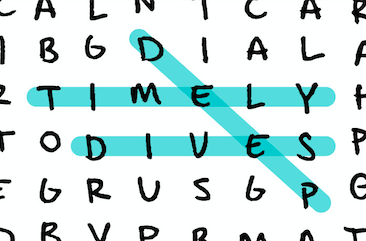 Timely deep dives give meaningful context to today’s issues. These are high-investment, thoughtful analyses that explore key questions audiences are asking about the most important issues in our world. The most enduring examples address issues or challenges that will linger for months or even years. The Atlantic’s August 2017 cover story, “How to Deal with North Korea,” is an example of a timely deep dive. The piece outlines four approaches the United States could take in its interactions with North Korea. It was published in late June 2017, when North Korea was aggressively testing its missile launch and bomb-building capabilities. In the following months, the piece was resurfaced every time news developed around North Korea’s continued tests, drawing in additional audiences every time. 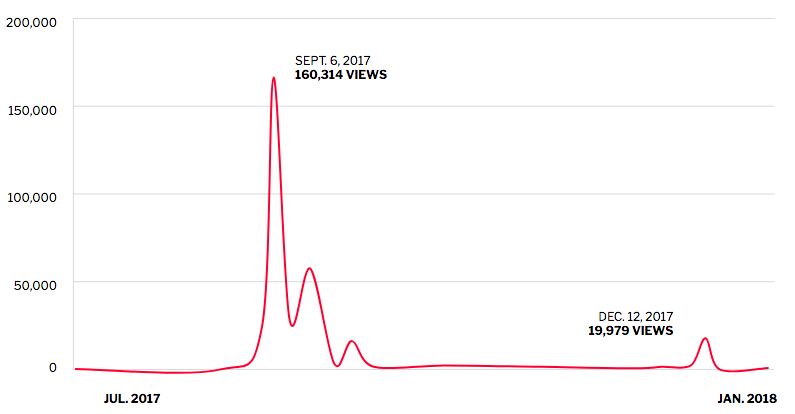 Page views for “How to Deal with North Korea” from May 2017 to October 2017. This article was relevant to the news of the moment. It is also valuable to audiences because it goes beyond what’s happening to explore why it is happening, what it means, and what we can do about it. Explainer pieces, longform articles, or highlights from past research reports can all serve as timely deep dives. Communications teams can match this content to relevant moments that are already built into the calendar, like holidays or major conferences, or set up Google Alerts and social listening software to receive notifications when related topics are trending. Lengthen the life span of your carefully considered, well-researched pieces — those that put important issues into context. With the right timing, you will drive traffic to high-quality content long after it was published. Greatest hits can be counted on during dips in the news cycle. In September of 2017, The Atlantic published an article by therapist Esther Perel, called “Why Happy People Cheat,” which explores what infidelity tells us about the modern marriage and our expectations of love. The article attracted up to 160,000 page views on its first day and continued to perform well for the next three weeks. Atlantic editors resurfaced the article again in December of that year, and it saw another 20,000 page views in a single day. This article is an example of a greatest hit. These are the evergreen pieces that drive traffic years after publication. They don’t require a news hook because they cover topics that never fail to fascinate us — topics that make us human, like love and relationships or satisfaction and success. 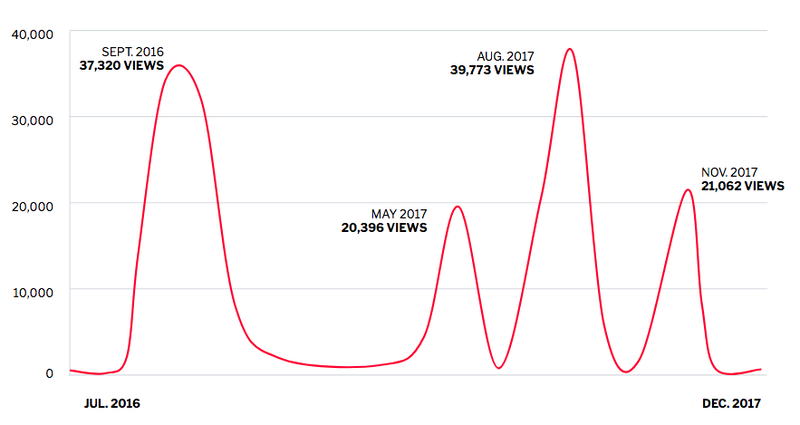 Page views for “Why Happy People Cheat” from July 2017 to January 2018. Your organization may seldom post about love or relationships, but you most certainly have content exploring “always-on” topics within your industries. Communications teams can use analytics software to see what content pieces have performed best on your site, on social media, and in your newsletters. They can use these pieces to draw in audiences, new and old. Not everything your team writes has to connect to the news of the day. In fact, some of your most popular pieces won’t be time-bound at all. Use those pieces to attract attention on slower news days or even to give your audiences a welcome escape from the news cycle. Deserving underperformers reach success on second release. Sometimes, your team puts a lot of time into a piece that doesn’t get the love you think it deserves. It may be a passion project. Or, it may cover a topic that you believe audiences should pay attention to. We call these articles deserving underperformers. You don’t have to give up on those pieces. Instead, try again with a new angle. An organization can boost the resurfacing potential of their deserving underperformers by unearthing specific insights that may appeal to distinct audiences: a quote, a statistic, or a surprising fact, for example. The Atlantic documentary “Holy Sh*t, We’re in a Cult” was first published in September 2016. This was an investment piece: a 16-minute documentary featuring an on-location shoot and interviews with several former members of the EnlightenNext organization. It went on to have second and third lives after its initial posting, as The Atlantic resurfaced it in 2017 and 2018 to match rising public interest in cults. 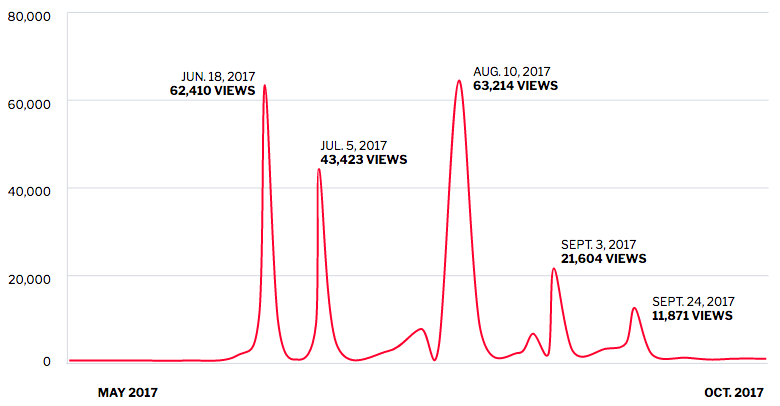 Page Views for “Holy Sh*t, We’re in a Cult” from 2016 to 2017. 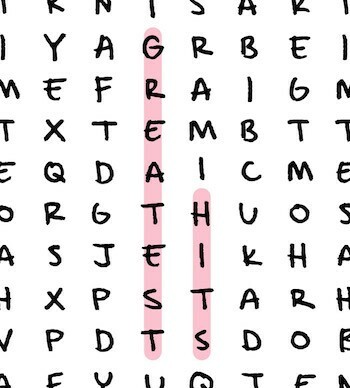 To bring eyes back to the piece, The Atlantic’s social team highlighted different angles that might appeal to new audiences. Initial social posts told the story of how the group turned from enlightenment to self-destruction. For example a post from September 2016 reads, “EnlightenNext was an organization that promised spiritual awakening. Instead, it turned into a complicated, often-sinister community.” But later approaches modified the moment of realization captured in the quote that is now the title of the video. Just because a piece doesn’t perform well upon initial release doesn’t mean it is destined to be ignored forever. It may simply need a little extra care to reach its potential. Content and distribution strategies are some of the many things we think about for our clients at Atlantic 57. Sign up for our weekly newsletter, the Digital Trends Index, to follow our work, and get in touch on Twitter. Atlantic 57 is the consulting and creative division of @TheAtlantic. We help organizations own their big ideas and transform for a modern world.